Speed limit changes are coming to several main arteries in Harrison West and Victorian Village. You may recall reading in a previous article that the speed limit on West Third, West Fifth, King and Neil Avenues was reduced to 25 mph in 1995 in order to calm traffic during the reconstruction of I‑670 and the Spring-Sandusky Interchange. After pressure from the Ohio Department of Transportation (ODOT) to return speeds to their pre-1995 limits, the city of Columbus conducted a traffic-speed study using metrics mandated by ODOT and is proposing a speed-limit increase. The city will ask ODOT to approve a 30 mph speed limit for Neil, King and West Third but will also implement short-term traffic calming measures intended to mitigate the effects of the increase. Such traffic calming measures may include signed, marked crosswalks with paddles (e.g., at Neil & Collins Avenue), painted parking lanes (to narrow the apparent traffic lane width), additional “no turn on red” locations, improved signage, speed trailers and increased police enforcement of speed limits. The city had intended to ask ODOT to approve an increase to 35 mph on West Fifth but has tabled that request pending further study. Many area residents argued that the ODOT metrics do not adequately consider the density of the streets in question, their residential nature, or the speeds in surrounding areas. The speed limit on Fifth Avenue, for example, is 25 mph west of Olentangy River Road and east of High Street. Does it make sense, residents ask, to increase the speed limit to 35 mph only for the section between Olentangy River Road and High? 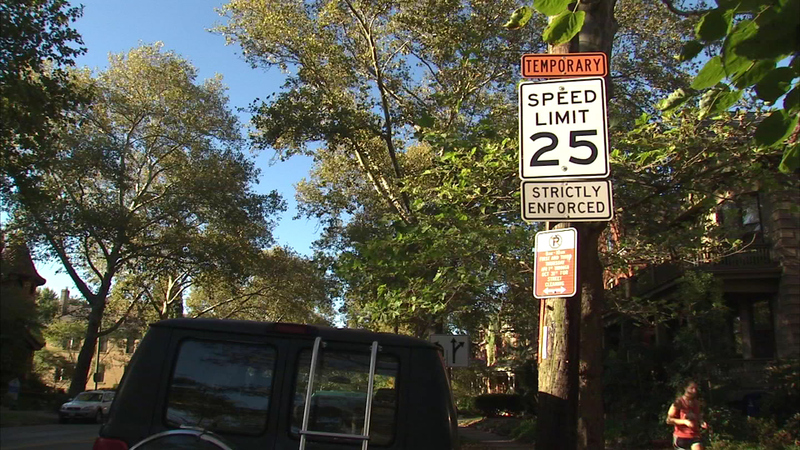 Responding to resident comments and concerns, the city will conduct a second speed study within a year to determine if it can convince ODOT to permanently return the speed limit to 25 mph on all four streets. 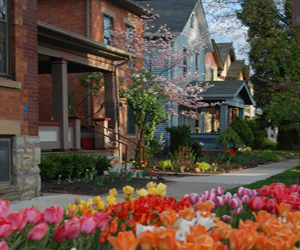 A press release from the Short North Civic Association describes the efforts of area residents to minimize the impact of the proposed increase on our neighborhoods. 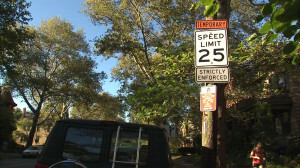 In the past several weeks, the Short North Civic Association, University Area Commission and Harrison West Society have been meeting with representatives of the Columbus Public Service Department to address the proposed increase in the posted speed limits on Neil, King, Fifth and Third Avenues (and the proposed decrease in the legal speed limits on all but Fifth Avenue). Throughout, the organizations have advocated vigorously for the lowest possible speed limit coupled with comprehensive efforts to reduce traffic impact on our historic neighborhoods—including bicycle and pedestrian safety, signal timing, enforcement and traffic noise. For reference, here are the West Third, West Fifth, King and Neil Avenue traffic studies.